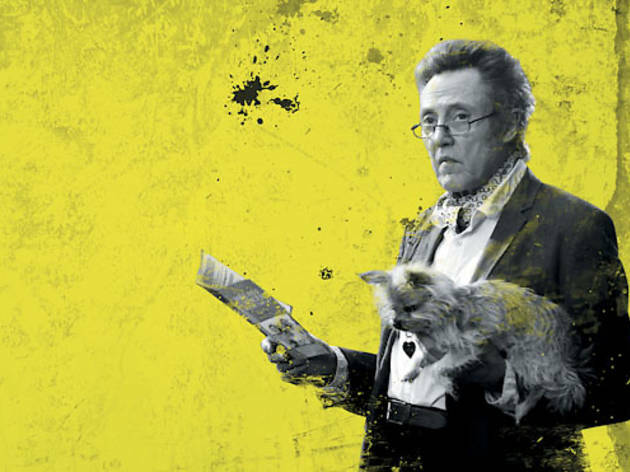 Catch Christopher Walken as a dognapper in Seven Psychopaths, or as a man tasked with killing his friend in Stand Up Guys, having its world premiere at the Chicago International Film Festival. When I meet with Seven Psychopaths writer-director Martin McDonagh in late September, he describes Christopher Walken’s world-weary, ascot-wearing Hans as the movie’s moral compass. That’s a strange way to think about a character who kidnaps dogs and collects the reward money to make ends meet. But there it is. 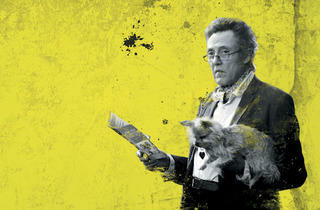 Just before Seven Psychopaths opens in theaters Friday 12, Walken, 69, will visit Chicago for the world premiere of Stand Up Guys, which opens the Chicago International Film Festival Thursday 11. By phone from L.A., the Connecticut-based actor reflects on his career—including his well-reviewed (yet unseen-by-him) recent turn in Todd Solondz’s Dark Horse. You don’t necessarily think of Christopher Walken as the most grounded man onscreen, although lately, maybe that’s more the case. I think that’s right. I’m in a place in my life where I get offered parts that I didn’t get offered before—fathers and uncles and grandfathers and so on. And it took me a long time to get to that place, but I’m glad because it opens up new territory. In The New York Times last month, Michael Cimino said your performance in Heaven’s Gate had never gotten its due. Which of your roles do you look back on and say, that role was really undervalued? Well, it’s not so much that. I’ve made movies that I thought were good. I’ve made movies that I thought were okay, but then I was very good. And sometimes you’re in a movie and you think, I wish more people saw that—because you’re good. And it just works out that the movie gets lost. But that’s show business. I’ve made a number of movies that I’ve never seen. What are some of the ones you haven’t seen? You never saw Dark Horse? No, I never did see Dark Horse. Yeah? I never saw it. I don’t live in New York, and it was one of those movies that just got shown in just a few theaters in the big cities. I’ll see it someday, probably, on television. You’re coming to Chicago to open the film festival with Stand Up Guys, which the distributor hasn’t screened for us. What should we know about it? Well, I haven’t seen it either. It’s with Al Pacino and Alan Arkin and me, and we’re the stand-up guys. It’s about these older guys who are kind of outside the law, and they get together for a couple of nights out. But it sounds a little like Elaine May’s Mikey & Nicky—your character is charged with killing your old friend. Oh, that’s true. Yeah, I forgot about that. I won’t say what happens in the movie. But that’s right—I have a task which the movie sort of evolves around. Your distinctive cadence—where does that come from? I think it comes from the part of New York that I come from [Astoria, Queens]. Both of my parents came to America from Europe as adults, and most of the kids I grew up with—that was the same thing with their parents. I grew up with a lot of people who spoke English with accents and the rhythms that come with those accents. And I think that that rubbed off. Somebody said to me that I speak English almost like somebody for whom English is not their first language. A lot of people attempt to do Christopher Walken impressions. Is there anyone you can impersonate? No. It’s interesting—a lot of good actors are good mimes. But I’m terrible. If I tried to do an impression, nobody would know what I was doing. Do you have anything to say about Tony Scott [who committed suicide in August]? He directed one of your most iconic scenes, in True Romance. He was a friend. I was in three movies with him. I think about that a lot, and all I can say is, it’s very troubling. I don’t know how often you’ve visited Chicago, but do you have any Chicago memories? I’ve been to Chicago a lot—it’s one of my favorite places. My wife is from Chicago, and I worked in the theater there a lot. I’ve done a couple of plays at the Goodman. There used to be a theater there called the Ivanhoe, which is gone I think. [Ed. note: It is.] Also as a kid, I would come to Chicago. I did West Side Story there. Was that your first time in the city? It was. It was way back—I was 18 or something. That production is where I met my wife, who was in the show. In an interview you said you’d never get cast as the guy who got the girl, even though you did get the girl. Well, in fact I did, but in the movies, no. You see that changing with your new roles? What, getting the girl? It’d have to be a real old girl. I have to ask: Is there such a thing as too much cowbell? Oh, my God. Yes, there is. That’s the power of television. You do something on television and so many people see it that it follows you around. It’s interesting. I’ve done a couple of things on TV, and probably more people saw me [in those] than in all the movies I’ve made. Stand Up Guys premieres at the Chicago International Film Festival Thursday 11. Seven Psychopaths opens in theaters Friday 12.